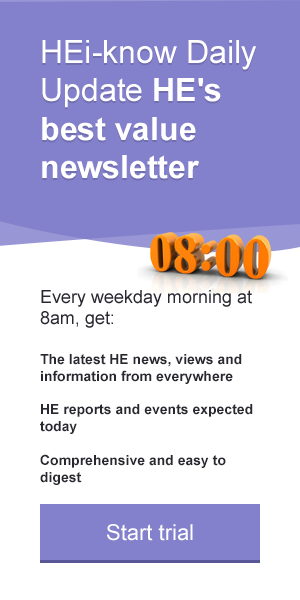 The HE rumour mill is running in overdrive over the issue of tuition fees. The speculation about possible cuts in tuition fees to be recommended by the Augar Review , the critical ‘value for money’ report from Robert Halfon’s committee , and various comments from universities minister Sam Gyimah -- including references to ‘threadbare’ degrees and stories in the press about universities being on the verge of bankruptcy or having required a short-term loan to tide them over -- have all coincided to ensure there is no shortage of stories and opinions on the subject. Robert Halfon was forthright in his statement that “The blunt reality is that too many universities are not providing value for money and that students are not getting good outcomes from the degrees for which so many of them rack up debt”. This view has also been reflected through student surveys, such as the 2018 Student Academic Experience Survey which reported that almost one-third of students felt they received poor value for money. Amid all of this, understandably, come calls for greater transparency over the ways in which students’ tuition fees are spent. In last week’s report from the Higher Education Policy Institute, ‘Following the Pound’ , it is noted that three-quarters of students do not feel there is enough information about how their fees are spent. Over 80 per cent of students felt it would be helpful to see breakdowns of expenditure and comparisons of course costs within and between institutions. How should universities respond? They are complex organisations with many calls on their money. The salary bill represents the biggest single commitment. But even this has to be spread over many different pots, with academic staff pay being only one component, alongside professional and student support services and the range of staff needed to manage the estate. There are, of course, many other costs that have to be covered: the maintenance of the estate, utility bills, purchase of books and journals by libraries, maintaining the IT systems, sports facilities and so on. Other, less visible costs are the very significant sums spent on outreach, widening participation programmes, student support and bursary schemes which are documented in the Access and Participation Plans required by the Office for Students as part of its new registration process. The other major financial ticket is attached to research: the 2017 HEPI report ‘How Much is Too Much’ stated that in 2014-15 teaching income funded 13 per cent of all UK university research, most of that being paid for by international students. One of the questions facing the Augar Review is that of differential fees. Everyone knows that it costs more to teach laboratory-based programmes and professional courses such as Medicine and Dentistry than it does to teach the vast majority of programmes in the arts and humanities. Historically, when the costs of teaching were funded by government, these differentials were reflected in the different funding bands for the different subjects. The current fee levels for home undergraduate students in universities are, with only one or two notable exceptions, all set at £9,250 per year. Students in the arts and humanities are therefore subsidising the lab-based science programmes. Not surprisingly, students studying disciplines like History or English Literature are asking why they should subsidise the lab costs of the Physicists or Chemists, or whether they should subsidise field trips for Geographers or Bioscientists, especially when they don’t have anything approaching the numbers of contact hours or are having to buy their own books. And is it reasonable to ask students to contribute to the cost of their lecturers’ research projects? So, should the fees for the arts and humanities students be reduced and those for the science students be raised? If so, what will be the impact on recruitment into STEM subjects, especially in terms of attracting students from disadvantaged backgrounds who are traditionally the most debt averse? There is a potential risk that STEM subjects could become the preserve of middle-class students. The argument is also made in some quarters that fees for STEM students should be higher because their graduate earnings are higher. This may be true as a broad average but the argument breaks down at the level of disciplinary comparisons where for example, economists are likely to earn more than bioscientists. In the current political climate where there is pressure to drive down student fees, these questions are severely challenging and will become even more so if we actually see a university go bankrupt. But universities’ directors of finance have another major concern on the horizon: if it is announced that there will be a reduction in fees, universities can expect a very lean year prior to its introduction as all the students defer their applications to take advantage of the forthcoming lower fees. Unless carefully managed, this could have the potential to drive some of those vulnerable institutions over the edge, especially given the very strong statement by Sir Michael Barber that there will be no bail out for universities in financial difficulty .